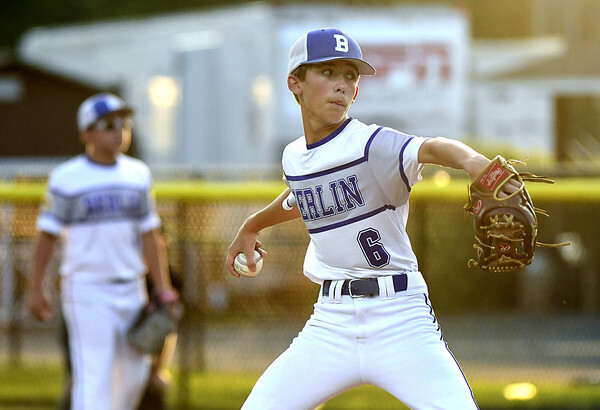 BRISTOL - Maryland starting pitcher Kannon Cropper had a shot to redeem himself after struggling in his first start against Washington D.C. in the Mid-Atlantic Regional. Cropper did so Thursday night in a big way. The right-handed pitcher threw an 86-pitch, complete-game gem on the mound in the 6-0 win for Maryland at Breen field, eliminating Pennsylvania from the tournament in the process. Cooper allowed just one hit and struck out seven. Owen Knerr had his first game without a homer for Maryland but other hitters in the offense picked him up. Alex Navarro led the way at the plate, going 2-for-3 with two RBI. Gavin Solito extended Maryland’s lead in the top of the sixth inning with a two-run double to center field, scoring Adam Gardner and Waylon Hobgood. Gabriel Johnson started for Pennsylvania and did his part limiting the damage and giving his offense a chance to gain a lead. Johnson allowed two earned runs in 3 1/3 innings with three strikeouts. Maryland got a pair of hits and drew three walks off the Pennsylvania starter. Connor Foltz had the only hit for Pennsylvania in the game. Stephen Wade, Navarro, Case Tilghman, Hobgood, Foster Smith, Solito and Gardner all had hits for Maryland. Gardner was the other batter to have a multi-hit performance. With the win Maryland will get another shot against New Jersey tonight at 7 p.m., a team it lost to earlier in the tournament 6-2. A win will send either team into the championship game Saturday night at 7 p.m. against New York. Posted in New Britain Herald, General Sports on Thursday, 9 August 2018 21:56. Updated: Thursday, 9 August 2018 21:58.